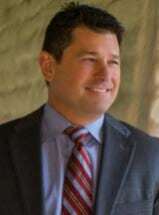 James P. Cilley is certified as a Specialist in trust and estate litigation, fiduciary disputes, and elder abuse actions by the California State Bar Board of Legal Specialization. He is also AV® PreeminentTM Peer Review Rated by Martindale-Hubbell® for his legal ability and high ethical standards in the areas of trusts and estates, wills and probate, and law related to the aged and aging. As the senior litigation partner at Temmerman, Cilley & Kohlmann, LLP, Mr. Cilley's practice involves will and trust contests, elder abuse, fiduciary accounting, fiduciary removal and surcharge, breach of fiduciary duty, constructive and resulting trusts, interpretation of testamentary instruments, creditor's claims, conservatorships, and related appeals. Mr. Cilley handles every stage of litigation, including pre-lawsuit negotiation, discovery, law and motion, settlement negotiations, mediation, trial, and appeals. He has more than 22 years of experience serving as lead attorney in many of Northern California's largest probate and trust cases. Mr. Cilley has substantial trial experience in contested probate cases before a wide variety of California trial and appellate courts. He has participated in all forms of alternative dispute resolution. In addition to his exceptional legal services, Mr. Cilley serves as an expert witness on a wide range of legal issues supported by current and relevant case law, statutes, and secondary resources.